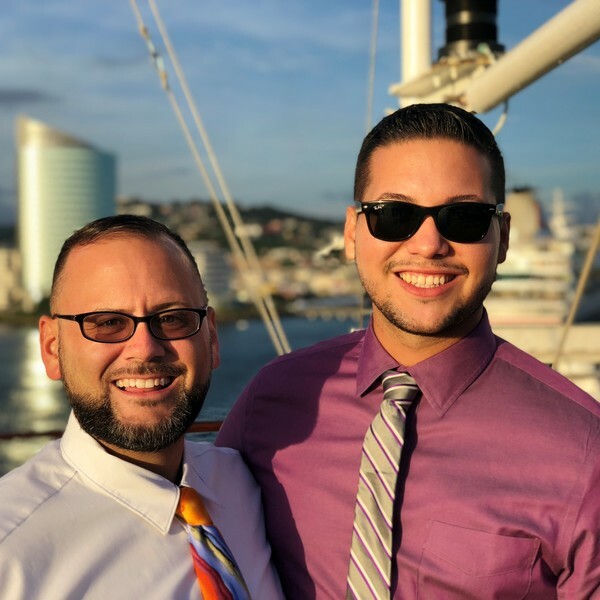 We are “The Cruise Boys” – Robert Huss & Edgar Nieves Torres! And we welcome you to KVI Travel! We are dedicated to provide you with professional, personal, and friendly service. We operate from Orlando, Florida and would be delighted to help you with your next cruise vacation no matter where you live! We have been on many cruises, including Bahamas, Caribbean, Alaska and Mexico itineraries to name a few. Our background includes extensive experience throughout the travel industry. Whether you are an airline employee looking for “interline” cruise rates, or non-airline employees just looking for the best rates on the seas (with NO BOOKING FEES!) – we look forward to booking your next great cruise vacation! If you are a first-time cruiser, we will make suggestions on the best cruise for you amongst the many cruise options out there. If you are a dedicated cruiser, we will help plan the perfect vacation for you. The best compliment you can give us is your repeat business and referrals! We look forward to serving you! We would love to become your favorite cruise travel agents! Feel free to e-mail us at [email protected] or [email protected], or call us to book your next cruise! Thank you for your hospitality! Interline Eligible Facebook Users: Join the Facebook group “The Cruise Boys" for updates on the latest travel deals! Interline Eligible Twitter Users: Join us on Twitter! Add “The Cruise Boys" for updates on the latest travel deals! Important Information For Online Bookings: If you book online – be sure to choose us (Robert Huss or Edgar Nieves Torres) as your KVI agents – and e-mail us at [email protected] or [email protected] once you complete your reservation – so we can finalize your booking! Gay & Lesbian Clients: We will provide everyone with attentive customer service, the best value and a full listing of all gay & lesbian cruises (both chartered and group cruises) available on the market today.